Fatah's Revolutionary Council congratulated the "heroic" hunger-striking terrorists for their "victory" over Israel in what the terror organization called a "fight for freedom and honor." In a committee meeting titled "The meeting for freedom and honor in support of our heroic prisoners," the Council expressed its pride and admiration of the prisoners for "standing strong," and said the Fatah leader and their freedom and their families' honor would continue to top Palestinian Authority Chairman Mahmoud Abbas' priority list. The Council also gave full support to Abbas' "nationalist" views and credited him with expressing "Palestinian" values in his meeting with US President Donald Trump. Abbas, who also participated in the meeting, said he continued to initiate peace and opposed anything which would endanger the PA's goal of achieving independence and ending the Israeli "occupation." 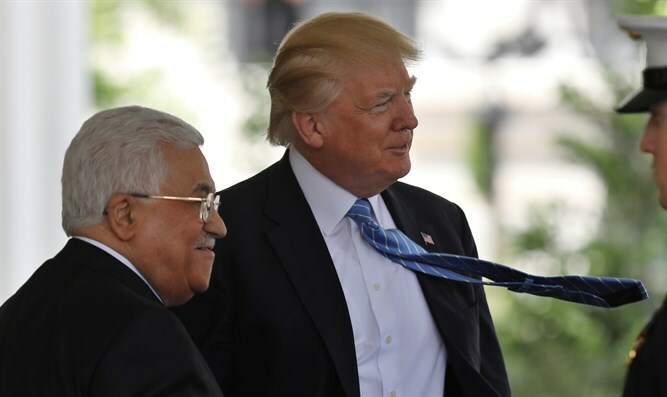 According to Hebrew newspaper Israel Hayom, Abbas rejected Trump's offer of a regional plan which would first entail normalizing relations with Israel's neighbors and only afterwards discussing a Palestinian state.